Well… to say that some people were upset by my last blog may be a bit of an understatement. People got a tad upset that I suggested that when non-selective schools talk about gang’s people were either ignoring it or saying the problem was being exaggerated or didn’t exist altogether. Yet…when a selective school (In this case a Grammar school) speaks of Gangs and CSE people were suddenly taking note and saying “yes, we knew there was an issue “or whatever they were saying. Then I got people saying to me that Grammar schools are not “Middle -class and any child can go to them”. Welllllllll…. It was the newspaper report that said “Middle-class” and not every child can go to a Grammar school. Hence why it is select. Anyway …let’s not get into silly rows and let’s look at the facts. So, some people didn’t like what I said in my last blog. The school issued a statement to say that none of this was ever said. If you hit the link on my last blog to said article you will see that the Mail Online still have it active, so I guess someone is in trouble and will get sued…or not. Let’s be real…imagine if the school and the police never said such things as gangs and CSE being an issue in East Kent, imagine the whole article is made up. Makes no difference to my point, which is, when nonselective schools said the same thing they were treated in a negative way..when the selective school said the same thing (or not) people reacted different. Like, the actual article is irrelevant, it’s the public’s reaction that got me upset. We have now had people coming out from all over the place saying that yes there is a gang issues in Thanet and that Child sexual exploitation is taking place and that …yes…county lines do operate. So, 3 weeks ago it was all lies and madness and now everyone is agreeing there is an issue. Well that’s good then. Because the children and young people in East Kent have needed this brought out in the open for a very long time. A very long time. And if now people are willing to accept there is an issue then that s a good thing, because this is all about protecting our young people…isn’t it? Many people didn’t like what I said. I never did care what people thought about me to be fair. Many people have backed me and said that what I am saying is correct and that this should have been raised a long time ago. Before things got this bad. 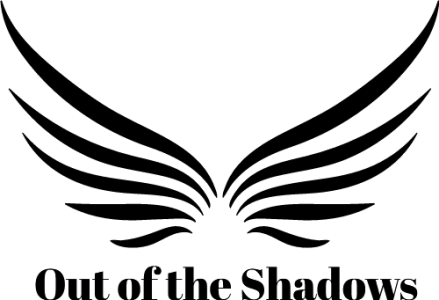 So, my Out of the Shadow followers…My last blog was most definitely not my last post. But a warning to my followers…If I see such things happening again and think that something needs to be said then am gonna say it. I will speak out and I will speak the unspeakable. It’s going to be a bumpy ride, but the outcome should be good…for the children and young people. Previous Post Last blog ever? Next Post A ray of Sunshine.. I love your latest blog as well. all your blogs reflect the hidden reality of life in 2018 Britain-the haves and the have not-it still amazes me that the absolute refusal by Joe and Jane public of realising how serious youth issues and youth violence is.just my humble opinion.